The impending end of summer means that soon you won't have to worry about being eaten alive by mosquitos (and all the health risks that come with it). But until then, you can protect yourself with the “Insect, Bug, and Mosquito Pop-Up Screen Chair Tent,” akin to a portable mosquito cage. 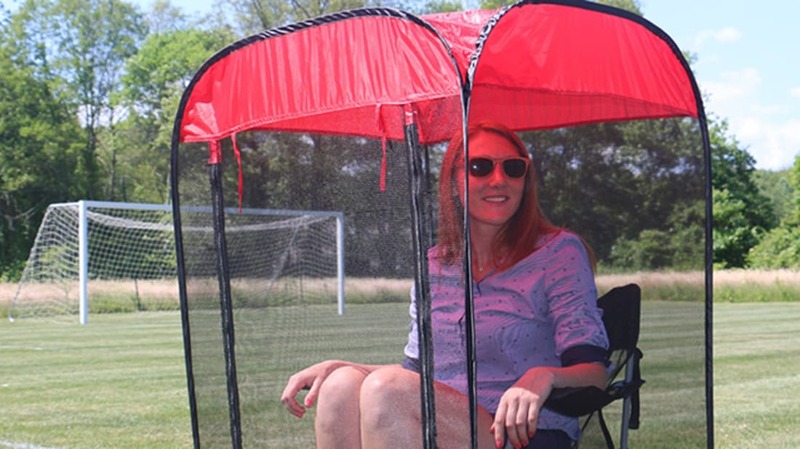 The invention, spotted by Laughing Squid, is an all-encompassing, free-standing, individual mosquito net that allows users to set up a lawn chair inside and enjoy a respite from insect bites. Just zip it up, and keep the world out without sacrificing your views or your airflow. When not in use, the Pop-Up Screen Chair Tent—which costs $50 from the geniuses at Anthem Sports—folds up into a portable small disk. Check it out below.